As a Michigan Criminal and DUI lawyer, I sit in various courtrooms almost every single day, and often several times per day. I get the chance to watch more cases that you could count. An important part of what I do involves handling probation violation cases. Like so many of my other articles, the inspiration for this short installment is something I observed during the week this article was written. It was a busy week, and I was really all over the map in terms of cases and the various courts I had to visit. For some reason, an unusually large number of the matters I heard last week were probation violations, even though I had none on my own schedule. Again and again I heard people step up to allegations that they either drank alcohol, used drugs (particularly marijuana), or missed a test while on probation, despite having been specifically ordered not to do so by the Judge. In the world of probation violations, testing positive for alcohol and/or drugs, or missing a test, are far and away the most common reasons that someone has to go back before the Judge. In one of the cases I saw, the lawyer, to his subsequent regret, tried what the Judge herself called “The Nyquil Defense.” I’ve written about this, and so have other lawyers, but it bears repeating: No Judge believes that a breath or urine test that’s positive for alcohol was caused by using cold medicine. This old excuse has been so universally discredited and rejected that even if someone really did produce a positive test from the use of something like Nyquil or Vicks Formula 44, he or she is screwed. It won’t fly. There’s a lot to this, but it boils down to the amount of cold medicine a person would need to use to test positive, and the math never adds up. In the real world, it’s assumed you’d have to chug a couple of bottles of the stuff, and that, no matter how bad you may have felt, sounds a lot more like “abusing” the stuff than “using” it. You won’t even get that far, however. Imagine for a moment that you are the Judge. Instead of putting a person in jail, you gave him or her a break with probation. Probation essentially involves fines and costs, not getting arrested again, and not using alcohol or drugs. One way to look at it, all clinical concerns aside, is that not being able to drink or “party” is part of the punishment. To make sure the person complies, you order testing, as well. You figure the person will really appreciate the break you gave, and don’t expect to see or hear from him or her again. Some time later, however, that same person is back in front of you for testing positive for alcohol (or drugs). How happy are you going to be? In the real world, a Judge will already have dealt with this kind of violation too many times to count within his or her first year on the bench. When a Judge has been around for any length of time, he or she has seen and heard it all, and probation violations for testing positive for alcohol or drugs are so routine that it would be almost impossible to put a new spin on it he or she hasn’t heard before. Like a million times. Accordingly, the “Nyquil defense” is really less believable than “the dog at my homework.” And that’s just the tip of the iceberg. When you think about it from the Judge’s point view, what would make a person who has been specifically ordered not to drink or use drugs do so anyway? It really boils down to 1 of 3 things, and only 2 of those 3 make any sense at all. The easiest to discount is that the person ingested alcohol or drugs either accidentally or was forced to do so. It’s hard to have a drink without knowing it, and it’s even less likely that someone was forced into it. This leaves 2 realistic explanations: Either a person has a problem and cannot help him or herself, or they just don’t care what the Judge said. Neither excuse is going to do much for you. Therefore, managing the Judge’s perception at this juncture is a critically important and very delicate operation. In my representation, I have to get the Judge to understand, first and foremost, that my client’s actions DO NOT represent any kind of disregard or disrespect for his or her orders while at the same time, at least in most cases, quickly preventing the Judge from leaping to the obvious remaining conclusion that the person drank or used because of some kind of underlying problem. To be sure, in quite a few cases, a person who drinks after being placed on probation and having been explicitly ordered to refrain from consuming alcohol does so precisely because he or she has a problem. Forget the labels for a moment, but that kind of behavior is symptomatic of a kind of preoccupation or troubled relationship to alcohol. In other words, the idea that a person drank in violation of his or her probation because he or she has a drinking problem isn’t far fetched. If and when that’s the case, then I am amble to direct the Judge’s attention away from penal sanctions and to more rehabilitative measures. But that’s not always the case.. When, as is most often the situation, a person drinks simply because it happens – not because he or she is disrespectful of the Judge, and not to satisfy some underlying craving – but rather simply because circumstances came together and it just happened – then I have to explain that to the Judge. I need to diffuse the Judge’s anger and impatience and essentially convince him or her to do a “reset.” How that’s done, and, to be honest, whether or not that can be done at all depends, first and foremost, on the specific Judge assigned to the case, the facts of the case, and about 10 million other factors that all have to be juggled and balanced. This is why I pointed out that when you look for a lawyer, charisma and persuasiveness are the 2 most important qualities. 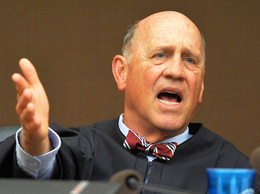 Given that the Judge is almost predisposed to think a person caught drinking on probation either has an alcohol problem or just doesn’t care (to the Judge, it’s almost like giving him or her the finger), it takes a kind of precise skill to lift him or her out of that way of thinking. Judges are busy. They’ve heard all the excuses. You can’t show up to court and have some lawyer mumble about how sorry you are, or that you used some cold medicine, or merely say it won’t happen again. To the Judge, that’s a classing “Been there, done that” bunch of hot air. I’m not an alarmist, but your future, at least the next several months of it, hang right in the balance at this moment. Your lawyer has to convince the Judge that, whatever else, you’re worth another chance, even if you blew off the last one. It will take some work on your part to find these skills in a lawyer, but it’s really easy to rule out those that don’t have it. Any attorney or staff member that is rude, impatient or just concerned about money is an obvious no-go. If you don’t feel you’re being heard by your lawyer, how do you think he or she can explain you to the Judge? The best advice anyone can give you in this situation is to be a smart consumer and call around. Do your homework. Skip over any office that won’t give you the time of day over the phone and tries to drag you in for their “consultation,” even if it’s “free.” Busy, honest lawyers are always short on time and long on convenience, so you should be able to get a good feel for things just by calling around. Of course, if your violation is pending in any court in the Metro-Detroit, Tri-County area, meaning a court anywhere in Wayne, Oakland or Macomb Counties, you should call my office, as well, and see how your concerns are addressed. We’re here to help, Monday through Friday, from 8:30 to 5:00, and can be reached at (586) 465-1980.